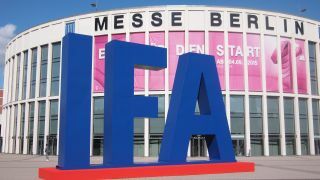 Updated: We've pulled together some predictions for next year's IFA 2016. IFA 2015, Europe's biggest tech show, is now officially underway and there's been lots of big announcements already. Samsung, Sony, Motorola, Lenovo, Huawei and Panasonic have all shown their faces at the German trade show with a load of the little guys sprinkled around the edges. Here's everything we've seen so far...and everything we've still got to look forward to. Sony has launched a new line of Xperia handsets at their IFA 2015 press conference – including the world's first ever 4K phone. There are three new phones and we've got hands-on reviews of them all ready and waiting for your eyes. We've also compared them all to other phones you can buy right now. Samsung spent quite a bit of its IFA 2015 press conference on the topic of washing machines, but it also shared some interesting details on its new SmartHub that's set to be a big part of Samsung's IoT push. It has also launched a new Ultra HD Blu Ray player and a sensor that goes inside your bed to watch you sleeping. That was all topped off by a new Samsung Galaxy Car Mode app that makes it easier to control your car whilst driving and even works with the new Gear S2 smartwatch. During the Lenovo and Motorola conference we saw a lot of new announcements, including a new version of the Moto 360 smartwatch. It's be powered by a quad-core Qualcomm Snapdragon 400 CPU, will feature wireless charging, 512MB of RAM and 4GB of internal storage. The 1.56-inch display has been bumped up to a 360 x 330 resolution whilst the 1.37-inch version has a resolution of 360 x 325. The Chinese smartphone manufacturer has gone hard at IFA 2015 announcing pricing for its Huawei Watch alongside the new phablet Mate S.
Asus has announced a lot. There's a load more smartphones in the Zenfone line. First up is the Asus Zenfone 2 Deluxe (that was previously announced for Brazil) with 4GB of RAM and 128GB of internal storage. It's not clear where else it'll be launching just yet though. That's also alongside the Zenfone Max that has a HUGE 5000mAh battery on board. And then there's the Zenfone Selfie that offers a 13MP sensor on the front. And if that wasn't enough, there's also the Zenfone Zoom that claims to have the world's thinnest 3x optical-zoom. To us it sounds like all these features should have been combined together to make one amazing phone. The company also announced a new Zenpad tablet with 4GB of RAM on board. Asus has topped that all off by announcing a new Wi-Fi router in the form of the RT-AC5300 that Jonney Shih himself believes to be the world's fastest for 4K streaming and gaming. LG had already outed the new Watch Urbane Luxe a little bit before the show and took to the stage to focus on the home tech side of things. There were four new 4K TVs announced – two of which are curved and another two are flat at 55-inch and 65-inch. It also took the conference as the perfect opportunity to announce LG would pair with Amazon to help supply HDR material for some of its new TV sets.